Here at YouTube, we love celebrating the diverse group of talented creators that make our platform so unique. 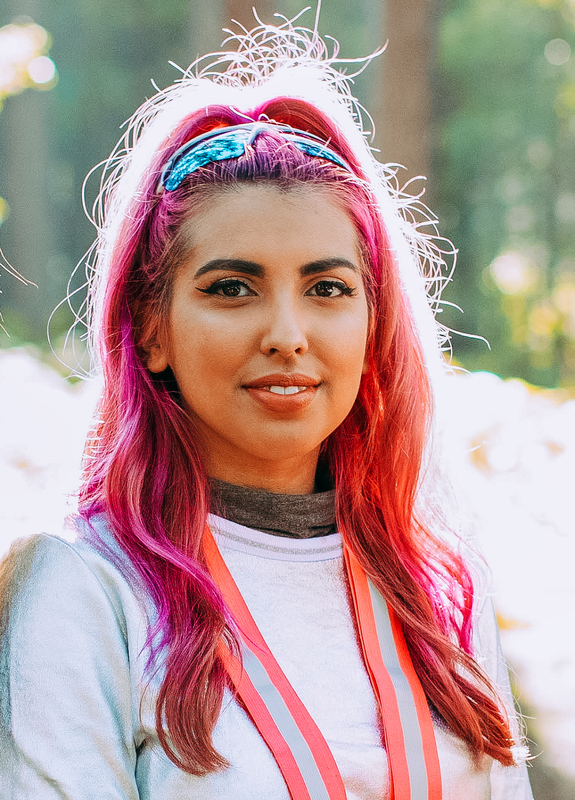 And in honor of International Women’s Day, we asked a few of our most dynamic female creators to share with us how they started on their YouTube journeys, and to fill us in on what they’ve learned along the way. Flavia Calina started off as a Brazilian beauty vlogger, but then made a more personal shift by sharing her struggles with fertility. 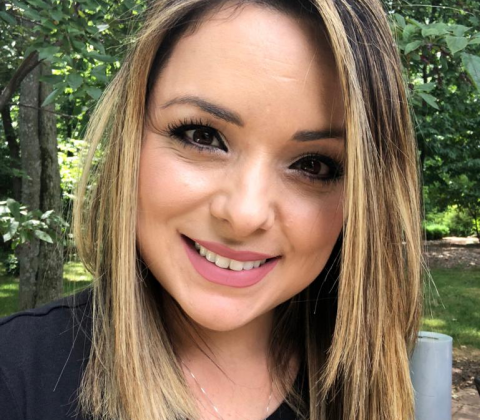 Now a mother of two with a third on the way, she offers up parenting tips and tricks to her channel’s 6.4 million subscribers. 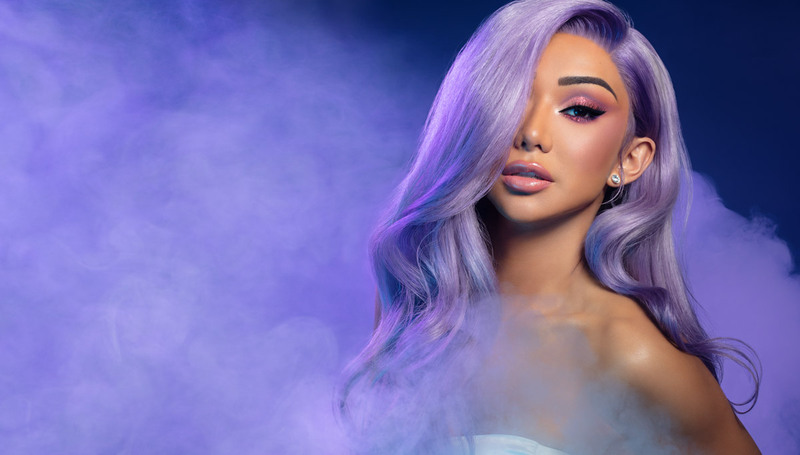 Nikita Dragun is an American makeup and beauty guru who made her transgender transformation into an honest, unfiltered series on her 2+ million subscriber channel. 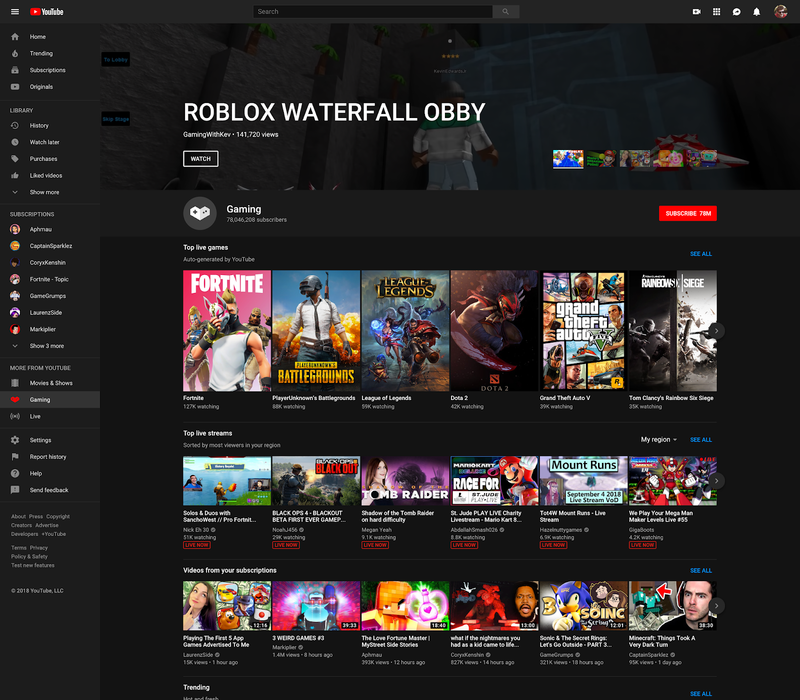 Yammy is a top global gaming creator based out of England who aims to make gaming fun for all audiences. She’s nearing 2 million subscribers on her channel. Komal Pandey is an Indian lifestyle creator with a quickly growing subscriber base of over 690k users…who swears she’ll never judge a girl who has nothing to wear out of a closet full of clothes. And I Get Dressed is an up-and-coming style U.S. channel run by fashion expert and proponent of “inspired inclusive style,” Kellie Brown. Tell us about starting up your own YouTube channel. What was your motivation and what did you feel like your voice could bring to the world? Flavia Calina: I first started as a hobby, I wanted a creative outlet to share what I was learning on YouTube. [At the time] it was makeup. But once my audience grew a little, I knew I wanted to talk about my passion and really share my expertise on early childhood education and the importance of raising children with respect in a peaceful environment so we can build stronger individuals, families and communities. Nikita Dragun: A lot of my first initial trans kind of education came from YouTube in terms of things that weren’t necessarily taught to me in my conservative Virginia school. But by doing so, I grew frustrated because I just didn’t see anyone like me talking about the things that I needed in terms of my trans identity. When I first started making videos, I actually wasn’t as open about my trans identity. But the second I started being honest, in my very first I’m transgender video, that was the first real viral moment I had. And also too, it was the first time I ever said I’m transgender even to myself. I didn’t tell my parents, I didn’t tell one person in my life. Once I did that…it’s just crazy how much support I was getting from people all across the world from all different types of walks of life And so documenting like my surgeries, documenting my hormones, then just every little step in my transition, was obviously hard and revealing. But I knew a lot of people just didn’t know all these things that trans people kind of go through and it opened a lot of eyes. Yammy: When I originally started my channel, I just started it to make friends. I wanted to be a part of the community. And specifically I wanted to find other females who played games, because back then it was quite hard to find other people with the same interests. Kellie of And I Get Dressed: I felt like a lot of the fashion people on YouTube, especially the plus-size fashion people, it’s more like they’re trying things on, different brands. But me having actual fashion industry experience, gives me a little bit of a different vibe. And it could be something cool that people will see that the fashion industry is not only for thin people. Fat people work in this industry. We’re successful in this industry. We are stylish and authoritative and the rest of the world, they’re listening and paying attention, you know? Were there any female creators that you admired or found inspirational when you started—and why? Yammy: There weren’t that many females in the gaming community, but there was a channel called iHasCupquake. And she was a huge inspiration to me because her friendly and bubbly persona was kind of—it reminded me when watching the videos of when I would sit on my brother’s bed and watch him play on the Mega Drive. It didn’t feel like I was watching a game. It kind of felt like I was with a friend. So she inspired me to kind of be the same when I was making my videos. Not be like just a tutorial channel, kind of just like a friendly video. International Women’s Day is about celebrating and empowering women. From what you’ve experienced, how does YouTube help further these causes? Flavia Calina: YouTube is an amazing platform to give women a voice. All of us women have a place to talk about sensitive issues such as maternity, loss, infertility, struggles, resilience, strength. We all learn from each other’s experiences and can apply to our own lives and our own community. Women creators are also businesswomen now, thanks to YouTube, and I feel we are given the same opportunity as everyone else on the platform. Yammy: So now one of the top gaming channels in the world is run by ItsFunneh, who’s a female, and I never thought I’d see the day…but because YouTube is such a worldwide platform, there are so many other people like me who wanted to be a part of the community and found her channel. I just think that’s amazing. Komal Pandey: Like the name YouTube suggests, it’s just YOU and your camera. You’re one video away from voicing your opinion with the highest degree of freedom and that’s a powerful weapon to have. Nothing is more empowering than being on a platform that allows you to use your voice as your weapon. Kellie of And I Get Dressed: And when it comes to inspiration, there’s no greater thing than like some girl who’s six, or some woman who’s 60, who are able to turn on a camera, create content, be diligent, and then live the kind of life you want to live because the platform enables you to be an entrepreneur in the greatest sense of the word. What has been most rewarding for you as a creator? Flavia Calina: For me, it’s to really have a place and a voice to share my experiences and advocate for children for such a large audience. We have an amazing opportunity and responsibility with our community and I’m able to push myself everyday to bring better days not only for my own children but for the children around the world. Another rewarding part of being a creator on YouTube is to be able to do everything from my own home and still be present with my children. YouTube has changed my family tree, my legacy, and I take it very seriously. Nikita Dragun: I think it’s so inspiring to see people who may or may not necessarily be trans or who have no affiliation to gender questioning or gender identity—who are cisgender females—they get inspired by my story because ultimately it’s a story about trying to be the best version of yourself. I think everyone goes through this obstacle, right? But for me, three years ago, it was like night and day from now until then. So for people to see me struggle, to see me questioning my identity, to see me financially unstable and going through college and not having all the answers…and still fighting to be who I wanted to be. Yammy: I’ve had a lot of comments saying because of your videos, you’ve inspired me to open up a channel and they’re all from younger girls. And that really makes me happy that I’ve been able to inspire people just like iHasCupquake inspired me. The fact that I was inspired by her, and now I’m inspiring people, and then maybe they’ll become a YouTuber and they’ll inspire other females. It’s kind of like this generational passing on of it’s okay to be a female gamer. Komal Pandey: My audience, for sure. YouTube is the only platform that helps you build a very very very loyal subscriber base. They will love you, protect you, critique you. And they will fight for you with the trolls too! What has been most challenging about being a female creator? Flavia Calina: The work-life balance. I’m so passionate about what I do that I find it hard to balance being a wife, mother, daughter, friend, businesswoman, all at the same time. Nikita Dragun: What was so crazy when I took on this journey was that, you know, for 18 years of my life I was obviously considered a male. I didn’t face certain things that women obviously face. When the switch happened, it just became so much more apparent that it was about so many other things than just who I am as a person. It became about what I’m wearing and how I looked and you know, my overall aura…If I wasn’t happy or if I was too confident and I was too stuck up and into myself and it was just so many more comments. Yammy: So definitely people do judge your appearance a lot more. But also there’s another aspect to it, which is because we are female, we tend to only attract a female audience. My audience is 80% female whereas a male gamer would attract both the female audience and the male audience. It’s kind of challenging that way. I feel like it’s a lot harder to grow if you’re a female cause you kind of aiming at other females. What advice do you have for other women thinking of starting their own channel? Flavia Calina: Don’t compare yourself to others. You are unique, you have a special talent that no other woman has. Share your voice, your passion and be consistent about it. Nikita Dragun: You know, everyone can be someone but no one can be you. And obviously, you have to be very strong. You know, lots of comments good and bad, but I just tried to focus my energy on the good and honestly, if I survived high school, I can survive your comments. Yammy: I would say just do it. Just be yourself. It doesn’t matter what you look like, just make videos and go for it. There’s nothing to stop you anymore. Is there anything YouTube can do as a company to encourage female creators more? Nikita Dragun: I think just supporting the creators and really letting everyone flourish and highlighting unique stories is the way to go. Because obviously the more diverse the better. And I think YouTube is already on the right track with that. But you know, any way that they can help and continue to flourish that I think it will only grow and help everyone. These responses have been edited and condensed. We’re rolling out YouTube TV to 95 markets starting today, covering over 98 percent of households in the United States. The remainder will follow shortly thereafter. You can see the latest list in our FAQs. Since YouTube TV’s early days, it’s been important for us to create an experience that brings you the best of your favorite TV content. As part of that effort, we’ve offered local feeds from broadcasters, allowing you to catch up with the content that matters to you. With this national expansion, we’re providing complete local affiliate coverage by providing local feeds from the four largest broadcasters in over 90 percent of the markets where YouTube TV is available. Here’s what this means: more game-winners from your hometown favorite, more breaking news and stories you need to know, and overall, a more relevant TV experience. Half the cost of cable with zero commitments. A YouTube TV membership is only $ 40 a month and there are no commitments – you can cancel anytime. So prep those buffalo wings, get ready for some memorable commercials, and kick back and enjoy the award-winning, cable-free live TV service people love. We’re excited and committed to continue making YouTube TV the live TV experience that’s tailor-made for you. And to all our new neighbors and members—welcome to the family! In July, as part of the Google News Initiative (GNI), we announced innovation funding to help newsrooms and publishers strengthen their online video capabilities and experiment with new formats for video journalism. Hundreds of organizations submitted proposals through an open application process and today we’re sharing the 87 recipients. 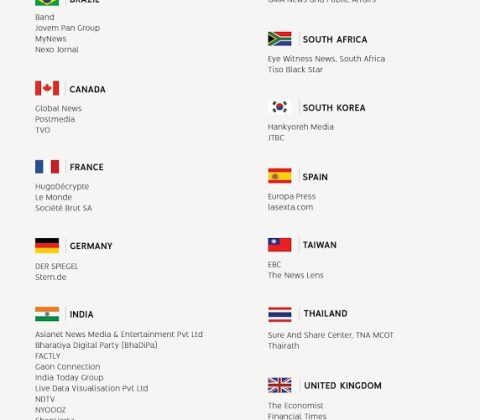 Hailing from 23 countries around the world, they represent a diverse array of broadcasters, traditional and digital publishers, local media, agencies and creators, but all share a commitment to quality journalism and a spirit of innovation. Advance Local (United States): U.S. publisher Advance Local will build out a new format for local news storytelling, enabling them to connect more deeply with their communities across the country. They will start in Michigan, where MLive Media Group (Mlive.com) will connect directly with its viewers, providing avenues for action on topics of important local interest, giving viewers the information they need to have their voice heard on issues of the day. Student plans are available for YouTube Music Premium for $ 4.99 and YouTube Premium for $ 6.99. Students who sign up by 1/31/19 can lock in YouTube Premium at a special rate of just $ 5.99. Iraq war veteran Joshua Carroll used to spend nights at his security post watching YouTube to learn trigonometry so he could pursue his passion for space. In just three weeks, YouTube helped him improve his math skills from a 10th grade level to the level required to take physics classes at New River Community College in Virginia. Today, he makes a living as a physicist, using Bernoulli differential equations in fluid flow systems. Joshua is not alone–people all over the world use YouTube to learn and follow their passions. A great teacher can unleash a student’s curiosity and change the direction of their life. Today, in honor of World Teachers’ Day, we are celebrating some of the amazing teachers around the globe who share their passion for education in the classroom and on YouTube. Elia is a math teacher at the Liceo Scientifico Galilei in Trento and at Liceo Steam International in Rovereto. Not only is his YouTube channel a great place to quickly review key math concepts before an exam, it’s also full of science experiments that range from making a coin battery to exploring how a cloud is formed. Jeerapat Sukanghong is a primary school teacher from the Phetchabun province of Thailand who is passionate about bringing her lessons to students in all corners of the country. Inspired by the late King Rama IX’s initiative to bring education to students in remote places via satellite, she decided to start her own journey on YouTube. Combining music and pop culture moments, notably adapting some of her own lessons into the viral PPAP format, Jeeraphat’s fun approach to teaching makes her one of the most popular creators in Thailand with over 5 million subscribers across both her channels. Rafael is a Brazilian mathematics professor who uses his YouTube channel to experiment with new and creative visual techniques for teaching math. Rafael, who has become a beloved figure in his hometown of Rio de Janeiro, has over 1.3 million subscribers on his channels. Rachel’s English is a YouTube channel dedicated to helping non-native speakers improve their spoken English and listening comprehension. Having taught ESL off and on since 1999, Rachel became interested in developing a pronunciation-focused resource while living in Germany under the Rotary Ambassadorial Scholarship program in 2008. 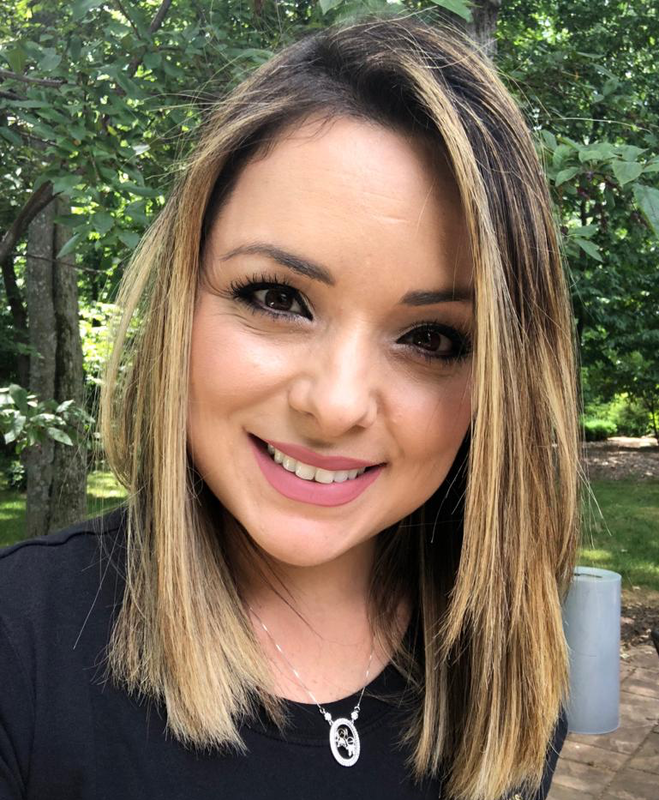 Rachel, who is also a classical singer, studied with highly acclaimed vocal teachers and coaches and brings a body of detailed knowledge connected to the voice, placement, and the musical nature of speech to her work as a pronunciation coach. Eddie has a unique ability to take complex mathematical concepts out of the abstract, and into the real world — whether it be recognizing geometric patterns in nature or the daily arithmetic required to balance a family checkbook. Though he claims to have once struggled with the subject, his unique approach to teaching math has gained him a global following of nearly 400,000 subscribers, and propelled him to become a finalist for the 2018 Global Teacher Award. He recently published his first book, Woo’s Wonderful World of Maths. Dawid is a PhD student and chemistry teacher at the Marie Curie-Skłodowska University in Lublin. Dawid’s channel examines a broad array of scientific topics, such as the true value of gold or the placebo effect in research, and in doing so has attracted over 335,000 subscribers. He also created a docu-series about the Chernobyl disaster. Check out this playlist to see other great teachers on YouTube, and read more about what we’re doing to support educators today and everyday. YouTube is thrilled to debut “Shawn Mendes,” its latest Artist Spotlight Story, created in collaboration with international pop phenomenon Shawn Mendes. The Spotlight Story gives fans an authentic and intimate look into Shawn’s life following the launch of his latest self-titled album. Mendes has grown to be one of the most popular musicians today with a massive fanbase that stemmed from his early YouTube uploads covering other artists. Directed by YouTube Creator, filmmaker, and longtime friend Casey Neistat, “Shawn Mendes” looks back on Mendes’ journey from uploading covers to YouTube in his suburban-Toronto bedroom to performing on the world’s biggest stages as he gets ready to release his self-titled third album. Casey follows Shawn on the road and documents his rise to stardom through revealing interviews that showcase Shawn’s hard-working nature and youthful resilience. With 15.7 million fans subscribed to his official channel, the three-time Juno winner is currently one of the biggest musicians on the planet. He’s racked up 2.2 billion views across YouTube in the past 12 months alone, with “Treat You Better” and “Stitches” both passing the billion-view mark — making him the youngest artist to have more than one video break nine digits. More recently, his 2018 anthem “In My Blood” charted on YouTube in over 15 countries and landed the singer three MTV VMA nominations. YouTube Music’s Artist Spotlight Stories are intimate and personal video portraits of artists who are pushing the boundaries of creativity and connecting with fans in unique and powerful ways on YouTube. Recent YouTube Spotlight Stories include Janelle Monáe: “A Revolution of Love,” J Balvin: “Redefining Mainstream,” G-Eazy: “These Things Happened,” and Camila Cabello: “Made in Miami.” The series is meant to shine a light on artist journeys and how they have leveraged YouTube to be successful, in hopes that their stories inspire others in the music community to do the same. The work of trusted journalistic organizations is as critical as ever, especially when it comes to seeking information about current events online. Since then, we’ve expanded these efforts beyond Europe. 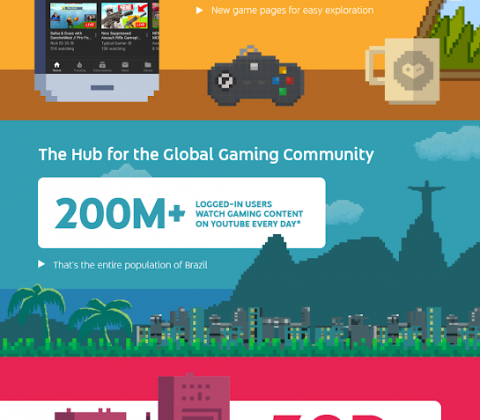 Today, over 100 publishers in more than 25 countries use Player for Publishers. Expertise. We’re establishing a working group with news organizations and experts from around the world to help us develop new product features, improve the news experience on YouTube, and tackle emerging challenges. News organizations including Vox Media, Jovem Pan, and India Today are early members of the working group. We’re looking forward to having more join as we convene the group in the coming weeks. Innovation Funding. We will provide funding across approximately 20 global markets to support news organizations in building sustainable video operations. Provided on an application basis to news organizations of all types, these grants will enable our partners to build key capabilities, train staff on video best practices, enhance production facilities and develop formats optimized for online video. Support. We’re significantly expanding our team focused on supporting news publishers. These specialists will be based around the world and support partners with training and best practices in formats, audience development, day-to-day platform operations, and sophisticated technical integrations. Many people want, value, and trust local news. And when a major event happens, local reporters are often the first on site to capture events as they unfold. 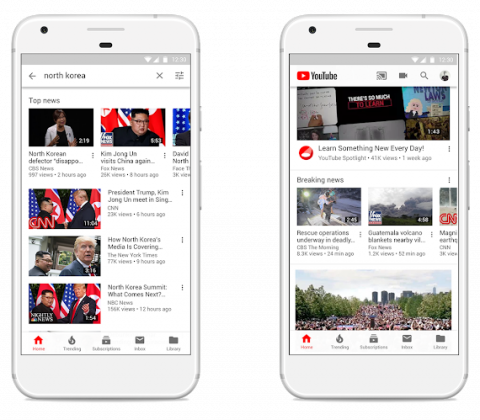 We’ve begun testing features that surface local news in the YouTube app for TV screens across 25 media markets around the United States, making it easy to access local news in the living room–our fastest growing screen. So far, local news has seen strong engagement, and we will be expanding it to dozens more markets like Cincinnati, Las Vegas and Kansas City. The wait is over! Starting today, YouTube Music is available to everyone in the U.S, Australia, New Zealand, Mexico and South Korea* in addition to 12 new countries including Austria, Canada, Finland, France, Germany, Ireland, Italy, Norway, Russia, Spain, Sweden, and the United Kingdom. Now fans around the world can find more of the music they love and effortlessly discover new favorites. 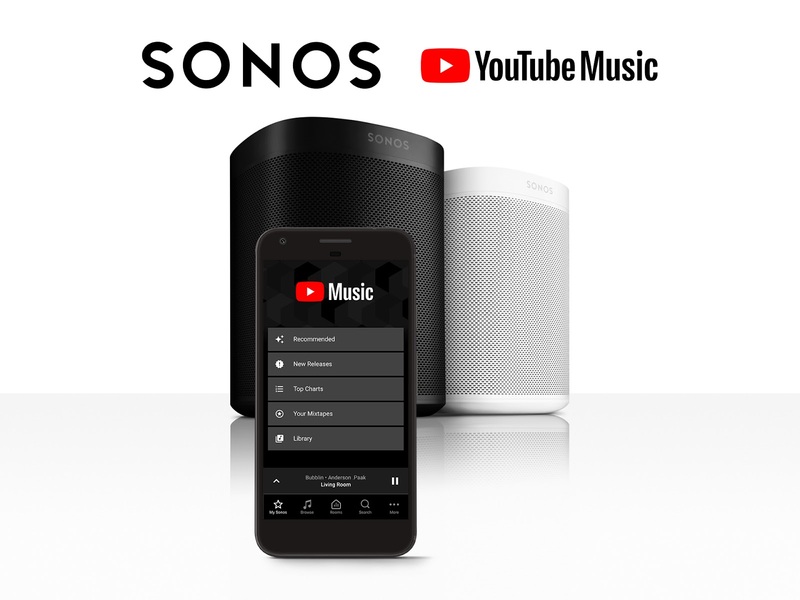 YouTube Music is a new music streaming service built on top of all the music on YouTube that you can’t find anywhere else – personalized and all simply organized in one new app and web player. Thousands of playlists across any genre, mood or activity. Try “A Dose of Sun” for brighter tunes on a cloudy day, “The Pop Hotlist” for the biggest hits around the world or “Distrito Latino” for Latin pop hits of the moment. The hottest videos. We’ll keep you on top of what’s hot! The hottest videos in the world right now are right there, on their own dedicated Hotlist screen. Today in the U.S., it features “Nervous” by Shawn Mendes, in the U.K, it’s “Drippy” by IAMDDB, and in France, it’s “Fais moi la passe” by JUL. Ad-free listening, downloads and more. Get YouTube Music Premium to listen ad-free, in the background and on-the-go with downloads. Plus, your Offline Mixtape automatically downloads songs you love just in case you forgot to. For a limited time, get three months free of YouTube Music Premium here, ($ 9.99 per month after, $ 14.99 per month for a Family Plan)*. Starting today, YouTube Premium (formerly YouTube Red) will be available in 17 countries, providing members with the benefits of Music Premium, plus ad-free, background, and downloads across all of YouTube. YouTube Premium members also get access to the full slate of YouTube Originals shows and movies including the hit series Cobra Kai, Impulse, F2 Finding Football and The Sidemen Show. For a limited time, get three months free of YouTube Premium here, ($ 11.99 per month after, $ 17.99 per month for a Family Plan)*. Current YouTube Red and Google Play Music members (including family plans) in the U.S., Australia, New Zealand, and Mexico will automatically receive access to YouTube Premium at their current price. Google Play Music subscribers in all other countries will automatically receive access to YouTube Music Premium at their current price as it becomes available there. Nothing is changing with Google Play Music – you’ll still be able to access all of your purchased music, uploads and playlists in Google Play Music just like always. 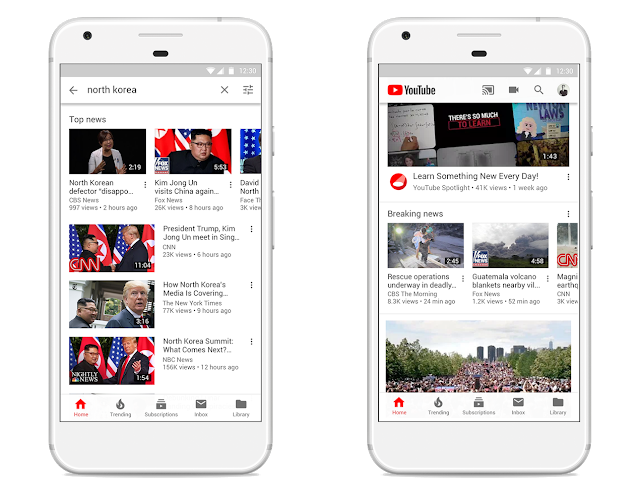 *YouTube Music Premium is $ 9.99 per month and YouTube Premium is $ 11.99 per month for individual memberships in the U.S. Pricing and Family Plan availability varies by country. South Korea will only offer YouTube Premium at the current price of YouTube Red. Last week we announced the new YouTube Music. Today, we’re excited to start rolling out early access of the new YouTube Music in the U.S., Mexico, Australia, New Zealand and South Korea. To be the first to know when it’s available for you, head to music.youtube.com/coming-soon. Recommendations built for you. A home screen that dynamically adapts to provide recommendations based on what you’ve played before, where you are and what you’re doing. At the gym workin’ on that fitness? Escaping during your commute? The right music is right here, built just for you. Thousands of playlists across any genre, mood or activity. Try “Blogged 50” to discover new music or “Indie Under Pressure” to get the heart rate going. Smart search so we’ll find the song, even if you can’t remember what it’s called. “That rap song with flute”? We got you. You can also search by lyrics (even if they’re wrong). It’s “Starbucks lovers,” right? The hottest videos. We’ll keep you on top of what’s hot! The hottest videos in the world right now are right there, on their own dedicated Hotlist screen. Today in the U.S., it features Anderson.Paak, Jessie Reyez, and G-Eazy. No internet? No problem. Paid members can download music and listen ad-free and in the background. Plus, your Offline Mixtape automatically downloads songs you love just in case you forgot to. To the Google Play Music users out there, nothing will change – you’ll still be able to access and add to all of your purchased music, uploads and playlists in Google Play Music just like always. For additional information on what we announced last week, be sure to check out our blog. We can’t wait for music fans across the globe to get their hands on YouTube Music! If you’re interested in learning more and getting access, head to music.youtube.com/coming-soon. Many fans can tell you about the first time they heard an incredible new song or watched a groundbreaking video from a musical newcomer. Some of the most memorable moments with artists happen early. That’s why we aimed to capture those moments with last year’s launch of Artist on the Rise on YouTube’s Trending tab, which spotlights three songs from emerging artists every week. To support and help more artists get discovered at every phase of their career, today we’re expanding the Trending tab feature with the launch of a new monthly program called Artist on the Rise. The program will promote a diverse lineup of music’s most important new voices across all genres, connecting them with fans worldwide through in-product promotion and programming, out-of-home, social and fan events at YouTube Spaces. The Artist on the Rise Trending tab will also continue to feature three songs a week from emerging artists that are making a significant impact on YouTube. The program’s first Artist on the Rise is Jessie Reyez, a 27-year-old Colombian-Canadian singer-songwriter signed to Island / FMLY and known for her smoky voice, outspoken lyrics and soulful R&B hooks. She’s grown from an aspiring artist covering hits like Adele’s “Hello,” to become a star in her own right, receiving the Juno Award for Breakthrough Artist of the year and partnering with Calvin Harris on the track “Hard to Love.” In true YouTube fashion, she’s cultivated a loyal fanbase over the years, racking up 22.6 million views for her breakout hit “Figures.” 2018 will be a huge year for Jessie – if you don’t know her now, you will soon. To check out more from Jessie Reyez, head to her story on the YouTube for Artists blog and stay tuned on the Artist blog and @YouTubeMusic’s socials for future updates on YouTube’s Artist on the Rise program. Since launching YouTube Red in 2015, we’ve been thrilled with how people are enjoying the service, whether it’s downloading videos for a flight, binging the first season of Cobra Kai, or listening to the wide breadth of ad-free music. As part of ongoing enhancements to the member experience, today we’re excited to announce that YouTube Red is becoming YouTube Premium! It’s all coming soon to even more countries. The new YouTube Music is a music streaming service that combines music listening with the magic of YouTube: making the world of music easier to explore and more personalized than ever. YouTube Music includes a reimagined mobile app and brand new desktop player that are designed for music. YouTube Premium unlocks the full YouTube Music experience: ad-free music, background listening, and downloads. With YouTube Premium, you’ll get access to the full slate of YouTube Originals, including recent hits like the Karate Kid-inspired series, Cobra Kai, the dance drama, Step Up: High Water, and upcoming series like the sci-fi thriller, Impulse, and Liza Koshy’s Liza on Demand. More new Originals from around the globe are on the way—featuring comedies, dramas, reality series and action adventure shows from the U.K., Germany, France, Mexico, and more. YouTube Premium will continue to provide an ad-free experience, background play, and downloads across the millions of videos on YouTube, which simultaneously supports our incredible creators and artists. YouTube Premium rolls out soon in existing markets: the United States, Australia, New Zealand, Mexico, and South Korea*. It’s also coming soon to new markets: Austria, Canada, Denmark, Finland, France, Germany, Ireland, Italy, Norway, Russia, Spain, Sweden, Switzerland, and the United Kingdom. We look forward to more expansion throughout 2018 and beyond. YouTube Premium will be available for $ 11.99 per month (U.S. price) or you can unlock the full experience of the new YouTube Music by itself with Music Premium for $ 9.99 per month (U.S. price). *South Korea will only offer YouTube Premium at the current price of YouTube Red. But YouTube was made for video, not just music. On Tuesday, May 22, we’ll be changing that by introducing YouTube Music, a new music streaming service made for music with the magic of YouTube: making the world of music easier to explore and more personalized than ever. The days of jumping back and forth between multiple music apps and YouTube are over. Whether you want to listen, watch or discover, it’s all here. YouTube Music is a new music streaming service made for music: official songs, albums, thousands of playlists and artist radio plus YouTube’s tremendous catalog of remixes, live performances, covers and music videos that you can’t find anywhere else – all simply organized and personalized. For the first time, all the ways music moves you can be found in one place. New and iconic videos from “God’s Plan” and “Havana” to “Thriller,” “Sledgehammer,” and more. While fans can enjoy the new ad-supported version of YouTube Music for free, we’re also launching YouTube Music Premium, a paid membership that gives you background listening, downloads and an ad-free experience for $ 9.99 a month. If you are a subscriber to Google Play Music, good news, you get a YouTube Music Premium membership as part of your subscription each month. And if you use Google Play Music, nothing will change — you’ll still be able to access all of your purchased music, uploads and playlists in Google Play Music just like always. To extend the features of YouTube Music Premium beyond the music app, we’re soon introducing YouTube Premium, the new name for our YouTube Red subscription service. YouTube Premium includes ad-free, background and offline across all of YouTube, as well as access to all YouTube Originals including Cobra Kai, Step Up: High Water and Youth & Consequences. YouTube Premium will continue to provide an ad-free experience, background play, and downloads across the millions of videos on YouTube. But because it includes our brand new YouTube Music service, the price will be $ 11.99 for all new members. If you’re already a YouTube Red (soon to be YouTube Premium) member, don’t worry you’ll still enjoy your current price. Starting Tuesday, we’re rolling out the new YouTube Music experience in the U.S., Australia, New Zealand, Mexico and South Korea*. It will expand more broadly in the coming weeks. We’ll also soon be launching in Austria, Canada, Denmark, Finland, France, Germany, Ireland, Italy, Norway, Russia, Spain, Sweden, Switzerland and the United Kingdom. If you want to know when the new YouTube Music is available in your country, head to music.youtube.com/coming-soon and let us know you’re interested. Primetime is no longer defined by the time the show is aired, but by the connection that content has with its audience. We see this reflected through over 150 million hours of YouTube watchtime per day on TV screens alone.1 In this next era of entertainment and information, we’re more committed than ever to YouTube being a platform for fresh voices, authentic stories, and thought-provoking dialogue. Tonight at our seventh annual newfront event, Brandcast, we unveiled the latest content trends and new ways for advertisers to connect with their most attentive audience to drive unmatched results for their business. Brandcast is where advertisers, creators and fans come together to celebrate the vibrant community of YouTube. Katy Perry’s 96-hour livestream, “Witness World Wide,” was named one of Time Magazine’s Top 10 TV shows of 2017, and just today, “Demi Lovato: Simply Complicated” was nominated for Best Music Documentary for the 2018 MTV Movie & TV Awards. All of this content was free and available to YouTube’s 1.8 billion monthly logged-in users3 as a result of partnerships with brands like Johnson & Johnson Consumer, Ulta Beauty, LL Bean and more. Will Smith: The Jump Off: In partnership with Westbrook Entertainment, Will Smith is going to epic heights in his new YouTube Original, “Will Smith: The Jump Off.” In this special, Will accepts the ultimate YouTube fan challenge to bungee jump from a helicopter—all to raise awareness for charity. The cameras will follow him as he prepares for the big jump, which we’ll livestream on his birthday. Priyanka Chopra: If I Could Tell You Just One Thing: From Sundog Pictures, Priyanka Chopra will go on a personal journey to meet the world’s most successful and inspirational people—each time asking them for advice they feel can change the world. From actors and politicians to religious leaders and environmentalists, star of the show Priyanka will speak with the people who will go down in history as having challenged the status quo. Jack Whitehall: Training Days: In this show, comedian and actor Jack Whitehall trains with the world’s most elite soccer players—and has a little behind-the-scenes fun in the process. Sponsored by Wendy’s in the U.S., “Training Days” is executive produced by James Corden and Fulwell 73 and will launch to fans around the world on Jack’s YouTube channel on May 9, ahead of the World Cup. Best Shot: Executive produced by LeBron James and Maverick Carter, “Best Shot” is a new documentary series following the Newark Central High School Blue Devils as they find community through basketball and receive mentorship from former NBA player Jay Williams. Directed by Michael John Warren and produced by SpringHill Entertainment and Boardwalk Pictures in association with Blue Ribbon Content, “Best Shot” will debut on the NBA YouTube channel this summer. Untitled Demi Lovato Project: In her new YouTube Original, Demi is returning to show fans a side of herself beyond her music to raise awareness about issues that matter. Demi will draw from personal experiences and passions to pay it forward to some of her biggest fans and closest friends. From Philymack Productions and London Alley. The Super Slow Show Season 2: In partnership with Rooster Teeth Productions, the Slow Mo Guys are returning with a renewed focus on science, technology, engineering and math. Through the lens of education, the Slow Mo Guys will explore the tiniest phenomena and greatest spectacles—all in slow motion. Kevin Hart: What the Fit Season 2: Kevin Hart is returning with even bigger punch lines and celebrity guests. In partnership with Lionsgate and Laugh Out Loud Network, this second season will raise more awareness of healthy living and wellness, as Kevin and his celebrity friends try out some of the most unique and outlandish workout routines. In addition to the can’t-miss shows above, we’re also excited to announce we will be rolling out even more Artist Spotlight Stories—intimate and personal video portraits of music artists who are pushing the boundaries of creativity and connecting with fans in unique and powerful ways on YouTube. We will be partnering with artists, including Shawn Mendes, J Balvin, Janelle Monáe, and more, on Spotlight Stories this year. Today, we’re adding to that momentum. For the very first time, Google Preferred Lineups and Breakout Videos will include our complete music universe, including eligible VEVO channels and videos. This gives brands the unprecedented opportunity to advertise against virtually all music in the world, from fresh talent to the most popular music icons. Thank you to our partners at Sony Music, Universal Music Group and VEVO who have joined Warner Music Group and countless independent record labels to bring all of this exciting music to you. We’re also focused on giving brands even more opportunities to advertise against some of the most influential live music events with Google Preferred and sponsorships. Once again, we are an official livestream partner of the Global Citizen Festival, and we will livestream shows from multiple cities around the world. And, we’re thrilled to announce we have renewed our exclusive livestream partnership with Coachella for an additional three years. The renewal will take YouTube through 2021, which will mark 11 consecutive years of a Coachella webcast on YouTube. 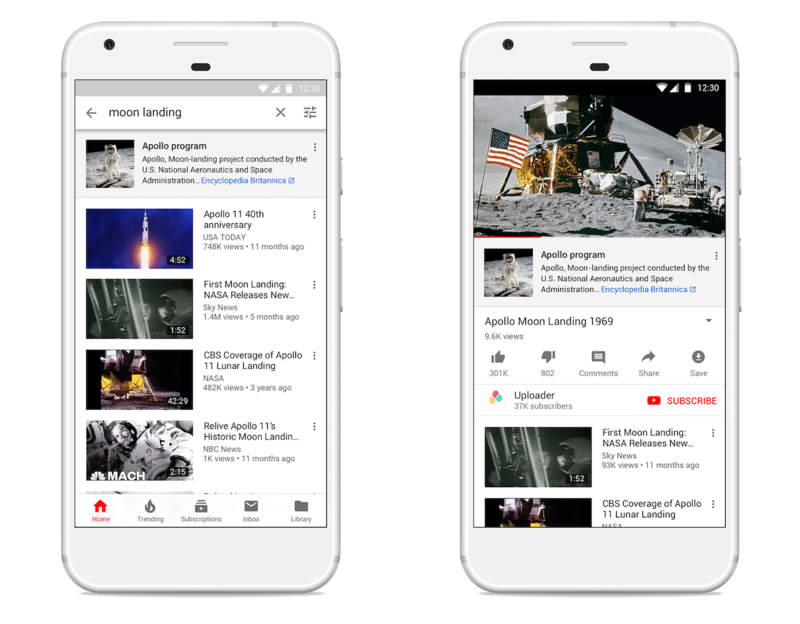 Beyond music, we are also launching a new product improvement to help advertisers reach audiences among some of YouTube’s most popular content. We’re adding new signals to enhance affinity segments on Google Preferred so advertisers can engage with the most relevant audience, creating a richer experience for brands and users alike. We recognize the need to hold ourselves accountable with first- and third-party measurement tools. That’s why we’ve partnered with trusted experts, such as MOAT on viewability and Nielsen on reach, among others. And tonight we announced we’ll continue this work by extending sales lift measurement to Nielsen Catalina Solutions, soon giving advertisers a new option to measure the effectiveness of YouTube campaigns at moving products off the shelves. Check out #Brandcast to see highlights from the night. 4Google commissioned Nielsen custom fusion study. Desktop, mobile and TV fusion. TV measurement of all individual U.S. cable networks. Reach among person 18-49 (Live +7, one minute qualifier), television only, September 2017. When we launched the YouTube Kids app three years ago, our goal was to give kids around the world a place to access videos that were enriching, engaging and allowed them to explore their endless interests. Since then, our team has continued to work to improve the app experience for kids and families around the world. 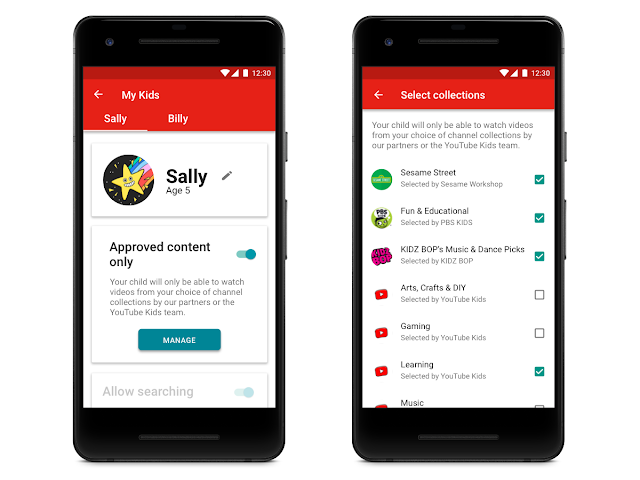 One area of focus has been building new features that give parents even more control around the content available in the YouTube Kids app so they can make the right choice for their unique family and for each child within their family. Collections by trusted partners and YouTube Kids: Starting this week, our partners and the YouTube Kids team will offer collections of trusted channels on a variety of subjects from arts & crafts and music to sports, learning, and so much more. This makes it easy for parents to select only the channel collections and topics they want their kids to access. Just go into Profile Settings, and select from available collections such as Sesame Workshop and PBS KIDS. We will continue to add more partners over time. Parent approved content: Parents know better than anyone what they want their children to watch. For those parents who want even more control over the videos and channels in the YouTube Kids app, we’re rolling out a feature later this year that will allow parents to specifically handpick every video and channel available to their child in the app. 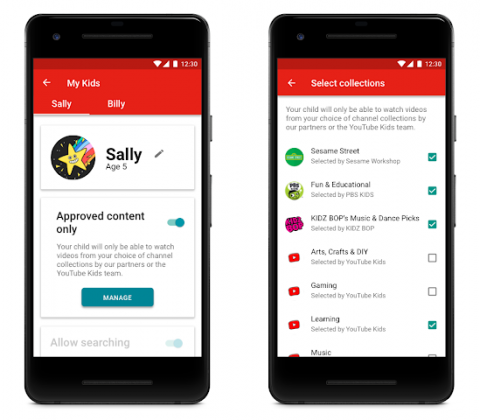 Improved search-off control for an even more contained experience: Parents have always been able to turn search off within the YouTube Kids app, but starting this week turning search off will limit the YouTube Kids experience to channels that have been verified by the YouTube Kids team. This means that search off will not include recommendations from the broader YouTube Kids corpus. For parents who like the current version of YouTube Kids and want a wider selection of content, it’s still available. While no system is perfect, we continue to fine-tune, rigorously test and improve our filters for this more open version of our app. And, as always, we encourage parents to block and flag videos for review that they don’t think should be in the YouTube Kids app. This makes YouTube Kids better for everyone. It is our hope that these additional options will allow every family to have the experience they want in the YouTube Kids app. James Beser, Product Director for YouTube Kids, recently watched “Photosynthesis for Kids” on the Kids Learning Tube channel with his 2nd grade daughter. Last year we launched YouTube TV, the best way to enjoy cable-free live TV, and we’ve been working hard to make it better every day. Today we are excited to wish all our members an extra Happy Valentine’s Day by bringing more of the networks you love to YouTube TV, including TNT, Adult Swim, TBS, CNN, Cartoon Network, truTV, Turner Classic Movies and more! That’s great news for everyone, from Anderson Cooper addicts to Rick and Morty binge-watchers, and everything in between. Now you can also get breaking news from CNN, watch cable’s #1 new drama series The Alienist on TNT, catch up on TBS’s hit comedy series The Detour, check out the popular kids series Teen Titans Go!, and enjoy the new season of truTV’s Impractical Jokers – all included now with your YouTube TV membership. For sports lovers in particular, we’ve got you covered: you now have access to March Madness and you can watch nationally televised NBA games, NBA All-Star weekend, NBA Playoff games, MLB Postseason games, the PGA Championship and soccer from the UEFA Champions League. But wait, there’s more! We’re thrilled to announce that we’re soon adding NBA TV, the league’s 24-hour network, and MLB Network, Major League Baseball’s award-winning 24/7 TV network, to the YouTube TV base package. And in the coming months, you’ll also be able to watch NBA League Pass, the league’s premium out-of-market live game service, or MLB.TV, the longest running sports streaming service in the U.S., for an extra fee. Game on! It would break our hearts for you to miss out on the action, so in the coming weeks, YouTube TV is also expanding to all top 100 U.S. markets! While we started out in just five markets and expanded to over 80 from there, we’re thrilled to announce that we are taking YouTube TV to over 85 percent of U.S. households, with the most live local broadcast stations in markets where YouTube TV is available. New markets include: Lexington, Dayton, Honolulu, Richmond, Mobile, and Syracuse. Check out here if YouTube TV is available in your city. We will be increasing our price to $ 40/month on March 13 for new members. However, if you are already a member or sign up before March 13, we are keeping your original price of $ 35/month. Over 50 networks, including ABC, CBS, FOX, NBC, plus popular cable networks like TNT, TBS, CNN, ESPN, AMC, and FX, and local sports networks from NBC Sports, FOX Sports, and NESN in select markets. Ability to watch on any screen – mobile, tablet or computer – and easily streamed to your TV with apps built for Roku (new! ), Apple TV (new! ), Xbox One, Android TVs and Samsung and LG 2016 and 2017 smart TVs; and Chromecast, Chromecast built-in TVs, and AirPlay through Apple TV. A cloud DVR, with no storage space limits that travels with you within the United States so you can stream recordings on any device, whenever and wherever you want. It enables you to record live TV and never run out of storage space, plus record shows simultaneously, without using precious data or space on your phone. Your programs are stored for nine months. Six accounts per household, each with its own unique recommendations and personal DVR with no storage space limits. Half the cost of cable with zero commitments. A YouTube TV membership is only $ 35 a month (if you sign up before March 13) and there are no commitments – you can cancel anytime. So hop on the couch with us, fire up the TV remote and let’s celebrate the best way to watch cable-free live TV together. Happy Valentine’s Day, YouTube TV members! We’re having so much fun in our new relationship and are committed to making YouTube TV the live TV experience you’ve been waiting for. And if you are not a member, remember to join by March 13 to experience the new live TV service everyone’s talking about for only $ 35/month. What can we say, YouTube TV is a cheap date 🙂 Enjoy the game! Posted by Heather Moosnick, Director of Content Partnerships, YouTube TV, who will be rooting for Team Curry #30 this Sunday in the NBA All-Star Game on TNT live on YouTube TV.